Composite Caddy — Organize Your Workspace. 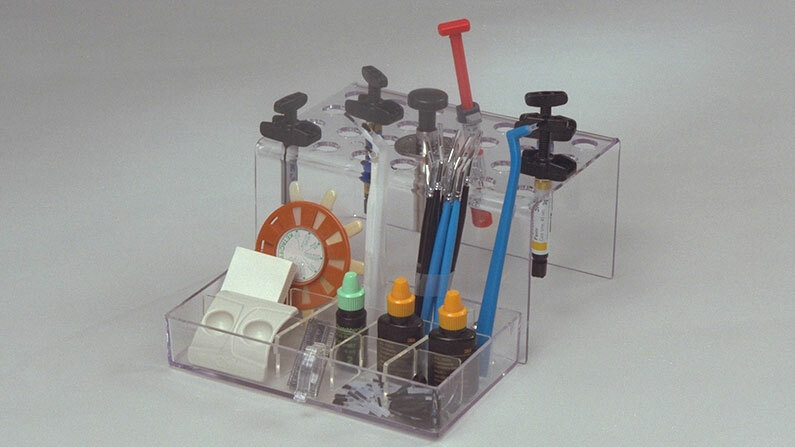 Affordable Dental Products Composite Caddy helps organize all of your bonding and composite materials. The front shelf is broken up into 15 small cubes and the base has 28 oversize holes to organize the full size composite syringes. Its small footprint ( 9.25L X 7.25W X 3.5H inches) fits easily on a countertop, inside a cabinet or tall drawer.